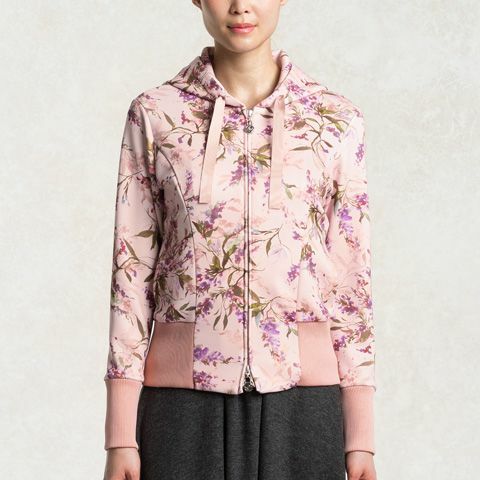 Travel in style with our "first class" soft hoodie in original Lavender floral print, made from super-soft fabrics with rib detail, satin ribbons and handy pockets. The double zip features our new kay me rose logo zip pulls. Pair with our long skirts and dresses for easy elegance on the go. With a sponge-like inner layer, our specially chosen materials are designed for long-haul comfort. Perfectly placed seams elevate this elegant style. Two handy pockets are great for small travel essentials, and the generous hood keeps you cool and dry. 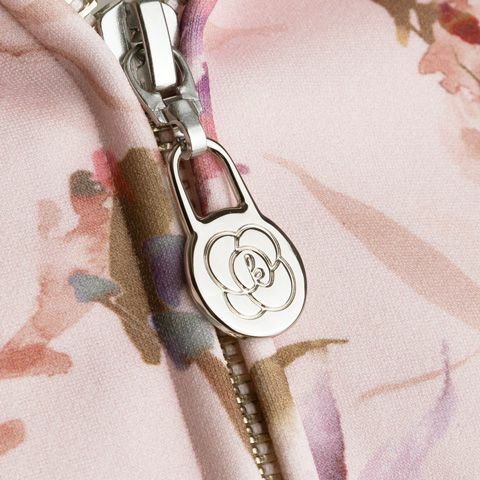 Discover our new kay me rose logo on the zip pulls.